An excavator's ability to break ground, move materials and perform other tasks rests on the quality and design of its bucket. Even the best-engineered, most powerful machine will struggle if its bucket isn't up to the task at hand. While most equipment comes with a standard-duty OEM attachment, upgrading to a heavier-duty aftermarket part can have multiple benefits. McLaren Industries manufactures and sells a range of heavy-duty bucket attachments for excavators by Cat®, Case, Komatsu, John Deere and other leading brands. 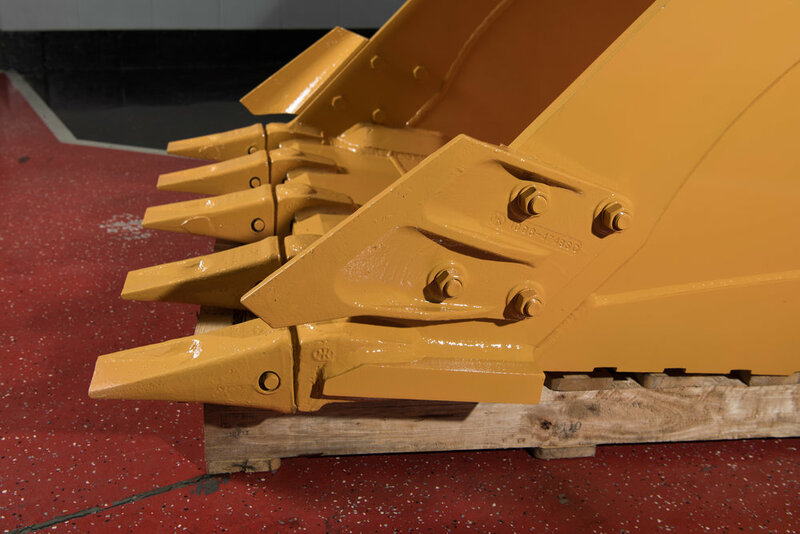 Our products can expand the potential of your fleet, making it easier and faster to lift, move and penetrate difficult ground. We sell our excavator buckets in three sizes: 68", 76" and 86". All models feature high-grade MR400 steel components as well as heat-treated, wear-resistant teeth and side cutters — both of which are replaceable to extend the life of the component. A series of reinforcement blocks that support the internal superstructure and an extra-large reinforced head design provide additional durability. Our excavator buckets include adjustable bushings with a built-in shim system that allows you to adjust performance to precisely match the task at hand. This, in turn, reduces wear and tear and further extends the life of the attachment. 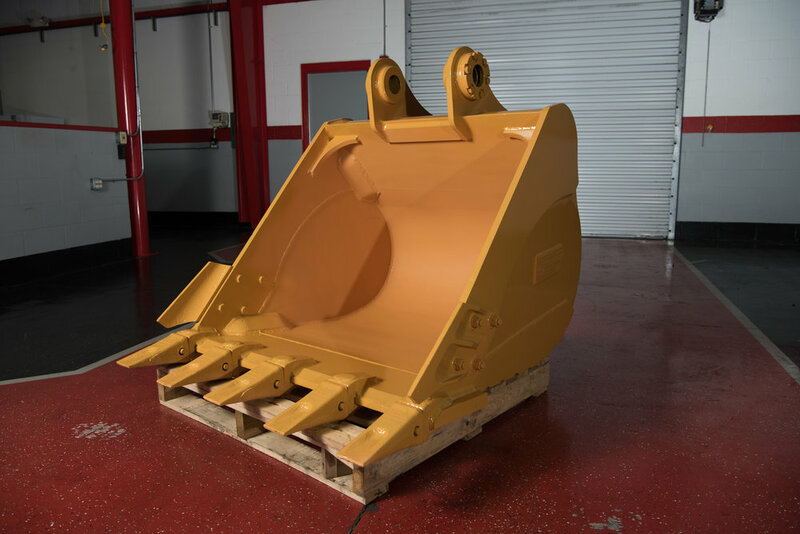 Additionally, we design our buckets for quick and easy clean-outs, reducing downtime and making it easier to keep your purchase in pristine condition for longer. Together, the advanced features and exceptional build quality of our excavator buckets make them one of the best values on the market today. Your purchase of a McLaren Industries excavator bucket will give you the most hours of work per dollar invested. Compare our products and our pricing to the OEM alternative, and you'll see right away the benefits of choosing McLaren. Our heavy-duty excavator buckets are suitable for rock, dirt and clay. Their exceptional strength gives you the power you need to penetrate the toughest terrain and complete complex jobs in fewer passes. That translates to improved productivity and better performance — essential goals for businesses in any industry, but especially critical in the competitive world of construction. McLaren Industries' heavy-duty bucket attachments work with machines by all leading manufacturers. Switching between buckets on the job is easy. As a result, with the right attachments, a single excavator can often be counted on to do the work of several. It's this versatility that makes McLaren Industries products an excellent long-term value for any fleet. Though we only recently started selling skid steer and excavator attachments direct to the public, we have a long history of partnering with OEMs on innovative, high-quality products. Now, we are proud to be formally entering this growing market, leveraging our expertise to help construction crews run leaner, more productive and profitable businesses. We are continually expanding our inventory with new products for excavators of all sizes. Contact us by phone at (800) 836-0040 for detailed specifications or request pricing for a heavy-duty excavator bucket attachment.